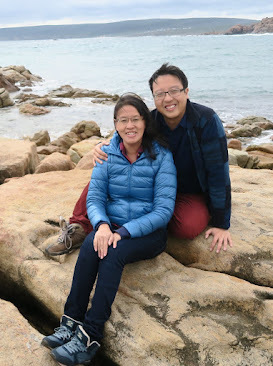 Over the course of the SG50 long weekend, our family found a new pastime. We have been spending our evenings before bedtime playing games - and no, not the iPad or Nintendo PS2 variety. 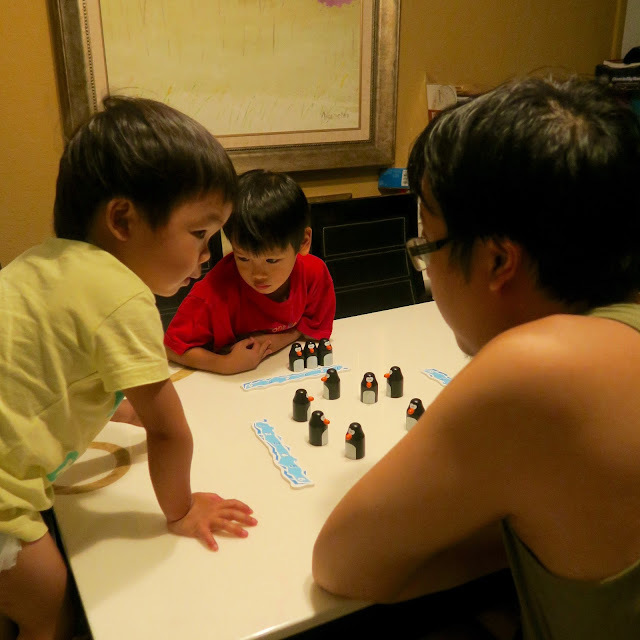 Daddy Mark is hopeful - the beginnings of teaching the kids how to play chess? Our online store Sensational Play has recently brought in a whole range of Blue Orange Games. Founded in San Francisco, the Blue Orange range consists of award-winning products of exceptionally high quality and play value. We were excited to bring in their range for younger children - Froggy Boogie, Zimbbos and Pengoloo. 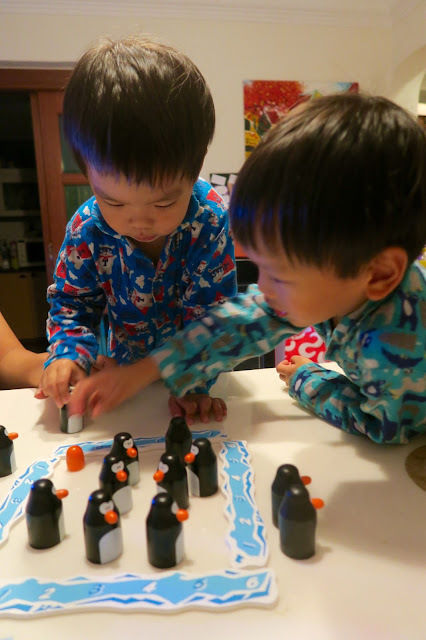 I have always wanted to introduce our boys to games at an early age because I find that children can learn so much from the turn-taking, focus and attention, as well as strategic and logical thinking that can be found in a board game session. However, I was apprehensive about whether our rambunctious two would be able to follow the rules and not bicker about whose turn it was along the way. We started off with Pengoloo because it was the least complex in terms of the dynamics involved. And of course, the cute penguins with their shiny orange beaks and jellybean eggs were irresistible. 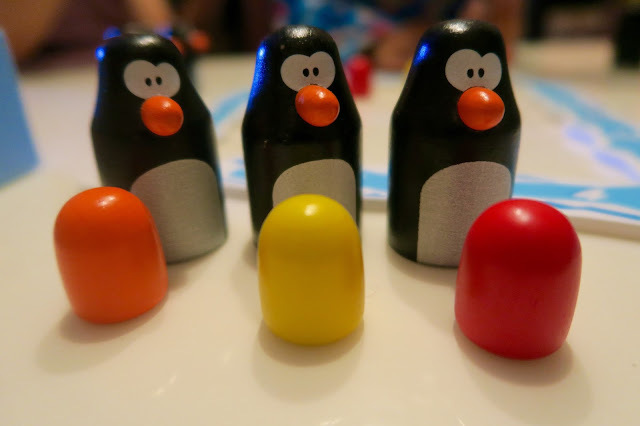 Who can resist these cute parent penguins which come with their brightly coloured eggs? Blue Orange Games pride themselves on quality. Each game comes with made-to-last wooden pieces, wrapped beautifully in a box. 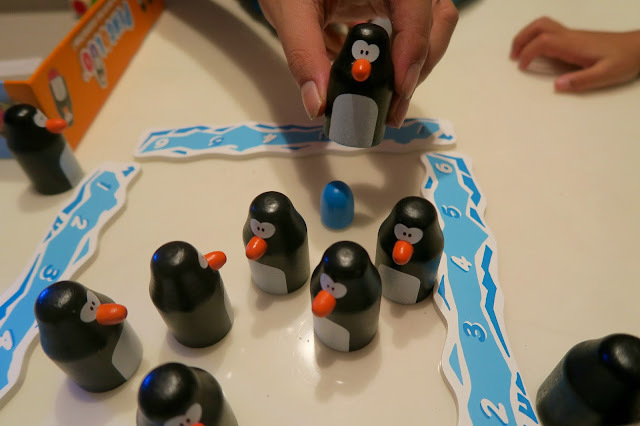 The object of the game is simple - to roll two dice and look for matching coloured eggs which sit beneath the penguins. 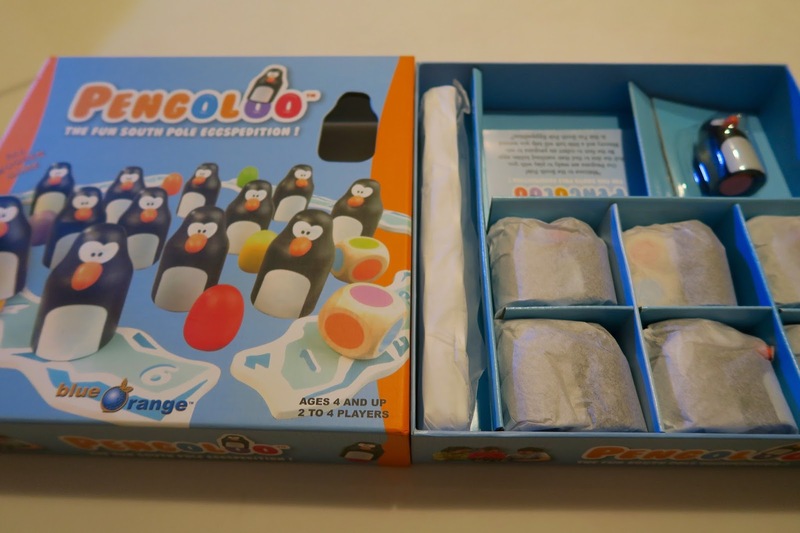 The rules are easy enough for a child of 2 years and up to understand - roll the two dice, look under the penguins, and if the colours of the eggs match the colours of your dice, you get to keep the penguin. The winner is the one with the most penguins at the end of the game. Our 3 yo looks on in anticipation. Which penguin should I choose? Which coloured egg is hiding under this penguin? 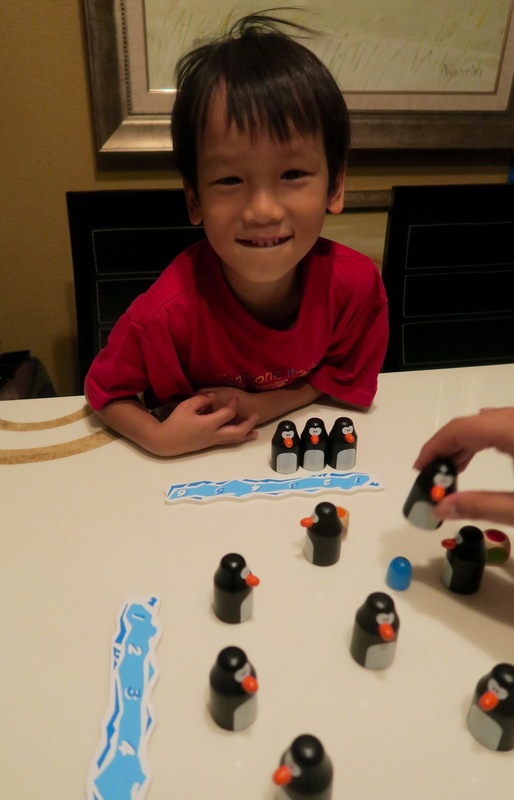 The premise sounds simple and it really does make for an easy game play - but that it precisely what one would look for in a game for children between the ages of 2 and up; predictability, some level of challenge in terms of remembering which egg is under which penguin, and a whole lot of fun imagining you're in the South Pole with your penguin friends. Children learn colour matching and build their memory skills at the same time. The verdict? This game has become a fast favourite in our family game time. We have realised through it that the family member with the best memory skills is our 5-year-old son, Z. 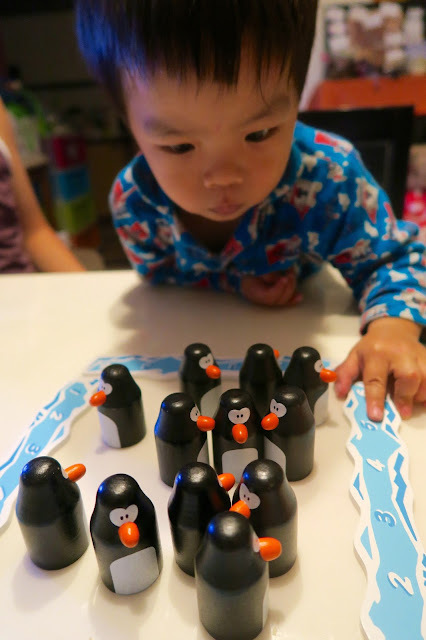 Our 3-year-old may not always make the effort to remember which egg is under which penguin, but it has been wonderful seeing him gradually understand the game dynamics, and his focus and attention span are also being built upon as he waits for his turn. There is always the added element of learning to win/ lose, and we have been very glad to see that although Z expresses his desire to win each game, he is able to accept the fact that one of us has won instead when it happens. All in all, we are pleased with Pengoloo. The quality wooden pieces make it a game that will last, and I can foresee many more happy game nights ahead spent playing the game with our faithful black and white friends. 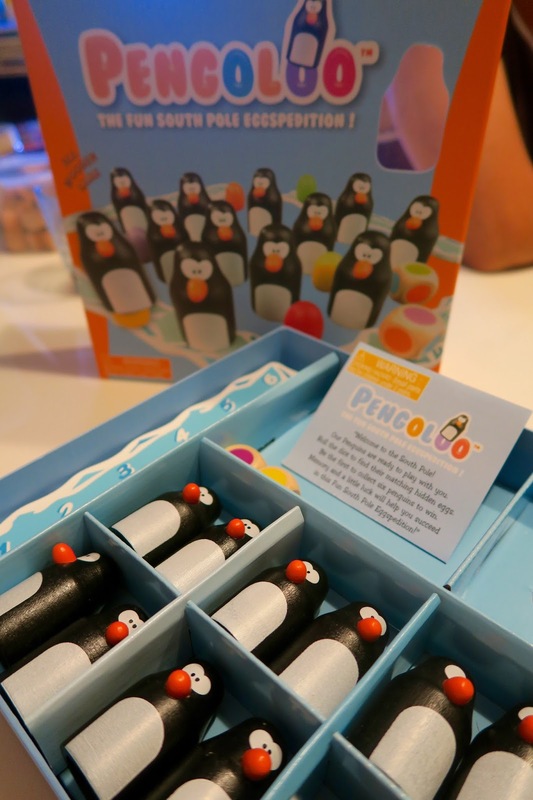 Pengoloo can be purchased from our online store Sensational Play through this link. Good night, penguins. Time for bed, until we take you out again for another round of Pengoloo!